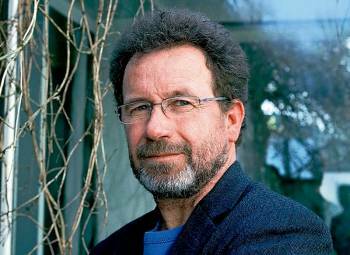 Note: Per Petterson was WINNER of the International IMPAC Dublin Award for his novel Out Stealing Horses in 2007. He was WINNER of the Nordic Council Literature Award and the Brage Prize for I Curse the River of Time in 2009. This is his first novel in five years. “Your conscience is like a cogwheel, or even like a circular saw, whirring round, and its sharp teeth are biting into your soul, hurting like hell and each time you do something really bad your blood is spurting, but then you do more and more bad things and the teeth are ground down and your soul becomes calloused and then you don’t feel anything when the wheel goes round and then that’s who you are.” Tommy to Jim after a crisis. 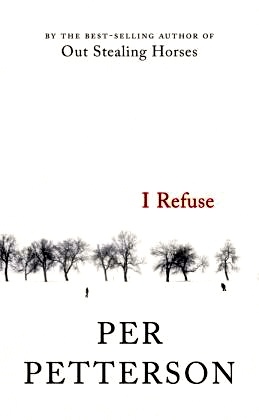 I Refuse is, I believe, Norwegian author Per Petterson’s most powerful – even overwhelming – novel yet, a novel which, even now, three days after I finished reading it, still has hold of my heart and still echoes in my memories throughout the day. I have read and reread passages just to be sure that they really do happen the way I thought they did, hoping that if I could just reread them one more time with a new vision that maybe I could keep the sad inevitabilities from happening in quite the same way, this time around. A novel about hardy and determined folk who live in Norway, I Refuse is so full of stark reality and so sensitive in its depictions of the way this reality affects the characters who live there, that I suspect I am not the only one who will go back again and again to reread passages. For Petterson, the inevitabilities of someone’s life journey are nowhere nearly as important as the journey itself, no matter how difficult, or how bleak, or how disappointing the outcomes on a personal level. Ultimately, the novel creates a world in which ordinary people keep on trying, even as they often fail. Ironies abound as the main characters are often tossed around wildly by the vicissitudes of fate – unexpected and uncontrollable twists and turns that affect their lives. Somehow they continue on, and even if they do not always make peace with their destinies or their decisions, their strengths lie in the belief that they have still had some level of control. Petterson begins the novel in 2006, as Jim, a man in his fifties who never knew his father, almost runs over an old man while driving through a snowstorm in the early morning hours. He wonders if the old man, who is uninjured, could have been his unknown father, a motif which echoes throughout. 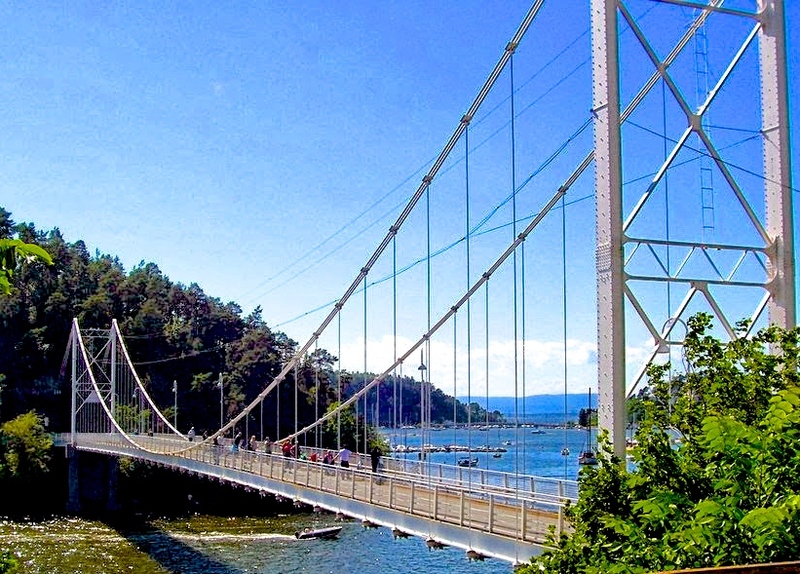 Jim is on his way to the suspension bridge that connects the island of Ulvoya to the mainland, a few miles south of Oslo. He fishes from the bridge a few times a week in the semi-darkness just before dawn, a peaceful activity for a man who must remember to “take his pills.” He resents the “classy cars” which have just begun crossing the bridge as dawn breaks, and he is shocked when someone in a new Mercedes stops and says, unexpectedly, “It’s Jim, isn’t it?” The speaker is Tommy Berggren, his dearest friend from childhood, with whom he has had virtually no contact for about thirty years, a man who now looks “like Jon Voight in Enemy of the State,” but who miraculously recognizes him from the crowd. Bridge between Ulvoya and the mainland, where Jim enjoys fishing a couple of times a week and where he meets Tommy unexpectedly. 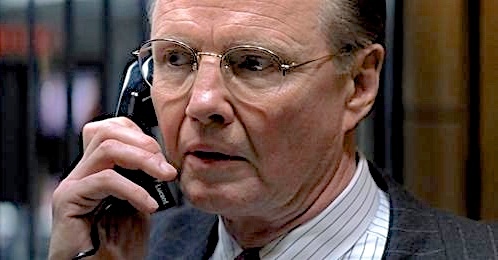 Jim comments that Tommy, after thirty years, now looks like Jon Voight, an NSA murderer in the film of The Enemy of the State. As the book relives events, the reader comes to know Jim, who grew up as the only child of a protective single mother – a teacher and Christian leading an honorable and hard-working life. Tommy’s family could not have been more different. His mother left the family when Tommy was twelve, his sister Siri was fourteen, and his little twin sisters were four. His father, a drunk, was abusive in the time that followed, severely beating and kicking the children without letup – until a day two years later, when Tommy was big enough to attack his father viciously during a fight, breaking his father’s leg, and receiving terrible wounds himself. His father disappears, and the family falls apart, the children assigned to live with people from the community who provide them with the only homes they have ever known. 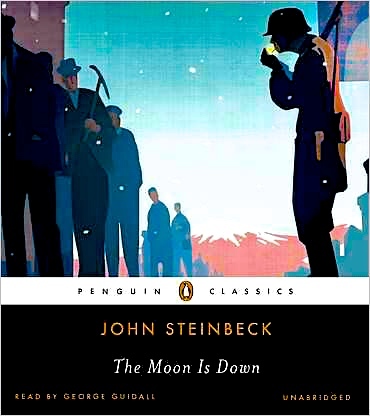 Cover, John Steinbeck’s The Moon is Down, given to Jonsen by Tommy. This was the most successful propaganda novel ever written, one which inspired Norwegians all over the country to resist the German occupation. The novel operates on many levels at once, but Petterson never loses sight of his major themes, all associated with one’s values and the actions they inspire – or prevent – over time. For some, the value lies in the refusal to do something, and for others it is in the refusal to believe something. For still others it is the refusal to admit something, while for the rest it is the refusal to accept something. Petterson has carefully crafted this novel, his talent seen even in what would appear to be casual “throwaways,” details of plot and setting one would not usually notice unless looking for them. When Tommy’s guardian Jonsen is dying in hospital, for example, Tommy decides to bring him a book from his own seemingly random assortment of old books – John Steinbeck’s The Moon is Down, about a small Norwegian community which refuses to accept the occupation of their town by the Germans during World War II, a banned book which inspired whole communities to stand up to the Nazis. There are special reasons why this is an appropriate choice for Jonsen. When Tommy is at a shopping mall late in the novel, he mentions that his favorite author is Raymond Chandler and his hero Philip Marlowe, whose series of hard-boiled realistic crime novels features characters much like Tommy himself. The sensitive Jim, by contrast, is a fan of Georges Simenon’s Maigret, a man who uses his psychological acumen to solve cases. Later, as Tommy is leaving a mall, he sees the name of a restaurant which he has visited – Dr. Jekyll and Mr. Hyde – an ironic and not inappropriate title for two former friends who have traded places between the time they are children and the time they are adult. The ironies and the insights that arise from these details broaden the themes and make them even more relevant. The conclusion, in which Tommy’s sister Siri visits Singapore and discovers something about a family member, is a stunning conclusion to this novel. Why she does what she does after that opens the door to much speculation – and a resolution which is one of the most awesome aspects of this profound and unforgettable novel. Note: Translated by famed translator of Scandinavian literature Don Bartlett, this novel feels letter perfect – its mood, thematic unity, and powerful effects perfectly in keeping with what the author must have hoped for.